Le&ndra Wallace: Interview w/Tracy Holczer + A Giveaway! 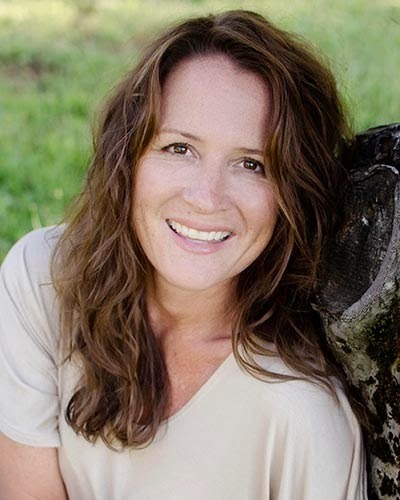 Interview w/Tracy Holczer + A Giveaway! 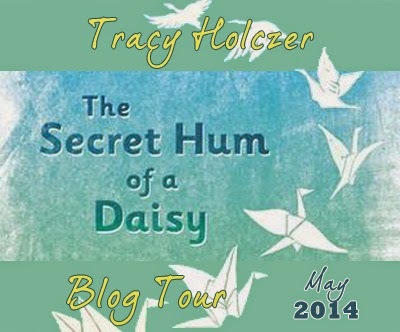 Today I'm thrilled to have Tracy Holczer on the blog, the super sweet & super talented author of the middle grade novel, The Secret Hum of a Daisy. 1. 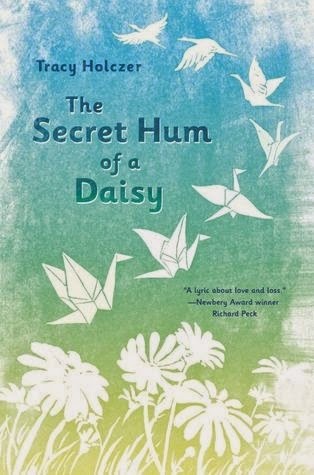 What is one of your fav lines from The Secret Hum of a Daisy? "Mama had always told me that good art is about knowing what to keep and what to leave behind, and I tried to do that inside myself, too." Pepperoni, more pepperoni, and anchovies. 3. Do you write best at a certain time of day? My best time to write is late morning and early afternoon. I'm an absolute zombie in the early morning and by the time the kids come home from school and bring all that chaos, my brain tends to go offline for the rest of the day. Although, when I'm on deadline, I can eke a few hours out of myself in the late evening. 4. Birds feature heavily in Hum- do you have a favorite feathered friend? I don't really. I'm more of a feather person. Dream catchers, a Native American headdress. I like transformations. 5. What has been one of you most exciting moments in your publication journey? Each step along the way has been exciting, but I'd have to say that first email I got from my agent, Rosemary Stimola. Excitement doesn't begin to cover it. I think I re-read it at least five times before I would allow the possibility that this is actually happening. Not so much because it was real live agent, but because she clearly got my story on so many levels, and had suggestions on how to bring it to the next level. 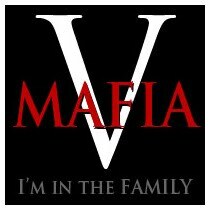 Once we talked on the phone and found we both came from Italian families, the deal was sealed. 6. If you were going to send a bouquet of flowers to yourself, what would you fill it with? To be entered to win, simply leave a comment and follow Tracy at one or more of her social media links below. The winner will be announced 5/11 on Twitter and also updated on this post. And don't forget to enter this Rafflecopter for the chance to win some more goodies! About: Tracy Holczer lives in Southern California with her husband, three daughters, and two rather fluffy dogs named Buster and Molly. She has a deep love for the mountains where she grew up so she writes them into her stories. A 2014 ABA *Indies Introduce*New Voices pick, her debut middle grade, The Secret Hum of a Daisy, was written in praise of both nature and family, and all that can be found if you're willing to hunt for treasure. It will be also be published by Konigskinder/Carlsen in Germany, fall 2015. Twelve-year-old Grace and her mother have always been their own family, traveling from place to place like gypsies. But Grace wants to finally have a home all their own. Just when she thinks she's found it her mother says it's time to move again. Grace summons the courage to tell her mother how she really feels and will always regret that her last words to her were angry ones. After her mother's sudden death, Grace is forced to live with a grandmother she's never met. She can't imagine her mother would want her to stay with this stranger. Then Grace finds clues in a mysterious treasure hunt, just like the ones her mother used to send her on. Maybe itis her mother, showing her the way to her true home. 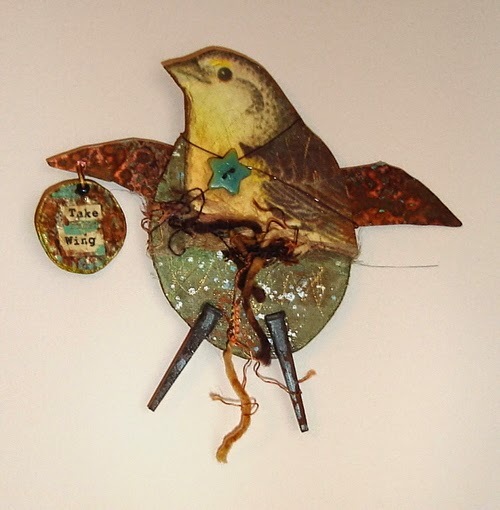 Also, I wanted to share with you guys one of the creative bird images that's on Tracy's website. I just love these little guys so much! Lastly, a big congrats to Tracy, wishing her and Hum a terrific debut! UPDATE: JJ won the swan bracelet! Congrats! It's on my TBR list also! Great interview :). Best wishes for lots of sales to Tracy ! Great interview! This book looks wonderful! Adding it to my TBR list! Yay for the TBR lists! It's such a good one- and good advice too! Congrats on imminent publication, Tracy! All the crazy! But it's good to be here after so many years. Thanks! I, too, have heard great things about this one and will add it to my reading list! That one line from her book, her favorite about the need to know what to keep and what to discard, sold me. Out to get Tracy's book and learn the secret hum of the daisy. Yay, Mirka! Hope you love it, I sure did. And thanks so much, Leandra, for such great questions and a lovely post. Tracy, what a great interview and I'm looking forward to seeing Daisy in the wild. Oh, yes, I hope I get to see it at the bookstore, that's always such a fun feeling to see books by people you know! Good luck with the book, Tracy! My favorite time to write is also late morning and early afternoon. Awesome interview! Wonderful interview! I've been looking forward to reading this one, since I heard about it on the Blueboards. Congrats, Tracy! What a great idea for SWAG. 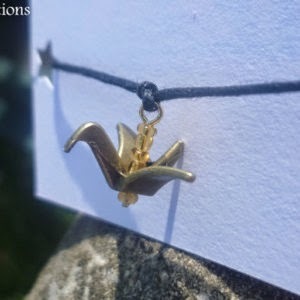 The bracelet is adorable. I can't wait to read this one. Wonderful interview! I love that line too- there are so many good ones in this book! Love this interview! And Tracy's book is so awesome~ so happy for her! Thanks, Monica! And it really is! A very pretty cover and the book sounds great too. Congratulations, Tracy. PS I'm a fan of ham and mushroom pizza myself! Um, yum, Suzanne! I am a huge mushroom fan, and those two together sound really good. I love that cover! It sounds like a great middle-grade read! Congratulations, Tracy! It is a great cover, Dawn, love the birds! I do love that cover, and the story sounds really special! Best of luck to Tracy with the sales of her book! Interview w/Natalie Whipple + A Giveaway!